After the last major power outage, just before Christmas, I bought a set of little battery operated lanterns to replace my candles that were not even putting out enough light to read by. I’ve been very happy with the lanterns and have been using them when I walk across the road when I check for mail after arriving home in the dark. They’ve been especially useful this past week as I’ve had to negotiate the long hill that leads to where I live on foot, and usually in the dark, as my car would not make it back up the hill if I were to drive down. (Just waiting for night time temperatures to get above freezing so that the snow and ice will melt!). I’ve lived in Eastern Washington where you have studded snow tires and roads are plowed and sanded and you can get around easily despite the weather. In Western Washington, it snows so seldom that the main philosophy is to just wait for the weather to warm up and the snow and ice to melt. Since the area is so hilly, it can lead to treacherous driving and walking conditions. As I write this, we are in a prolonged cold spell, with night time temperatures below freezing and intermittent snow storms coming through. I must say though, that a plow/sander had already been on the secondary road my driveway comes off of on Friday afternoon or I probably wouldn’t even have made it to the top of my driveway! 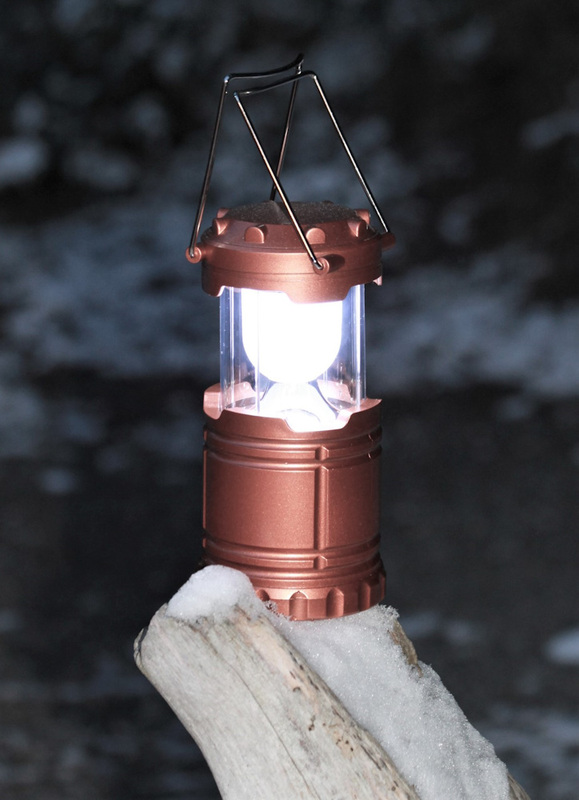 Anyway, it has been extremely helpful to have the lantern’s light to show where it is safe to step without sliding on ice. In the broader scheme of things, Jesus said that He is the light of the world.